The International Data Week (IDW) 2018 is hosted in Gaborone, Botswana (5-8 November, 2018) by the Botswana Open Science and Open Data Forum, bringing together data scientists, researchers, industry leaders, entrepreneurs, policymakers and data stewards from all disciplines and geographies across the globe. In connection with the IDW 2018, the Enabling FAIR Data Project is celebrating and promoting its Commitment Statement in the international earth, space, and environmental sciences community. You can support the #FAIRData movement by signing up to the Commitment Statement: as an individual, repository, publisher, community, society, institution or funder. “FAIR” is defined as Findable, Accessible, Interoperable, and Reusable as defined by the FAIR Guiding Principles. Commitment statement in the Earth, Space and Environmental Sciences: http://www.copdess.org/enabling-fair-data-project/commitment-to-enabling-fair-data-in-the-earth-space-and-environmental-sciences/. Enabling FAIR Data FAQS is a companion to the Enabling FAIR Data Commitment Statement and the Author Guidelines being implemented by publishers who are signatories. Stall, S. et al. 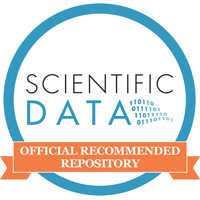 (2018) Data Sharing and Citations: New Author Guidelines Promoting Open and FAIR Data in the Earth, Space, and Environmental Sciences. Science Editor. Published on 01 November 2018. Stall, S., et al. (2018), Advancing FAIR data in Earth, space, and environmental science, Eos, 99, https://doi.org/10.1029/2018EO109301. Published on 05 November 2018.